I am not impressed at all. I would have to try it in order to get a better opinion. This is something that I am frequently being asked about, so I decided to post the simple solution. For SQL Server table columns that have the IDENTITY property enabled, their respected values are being auto-incremented according to the IDENTITY’s incremental value. The seed value is the value that is used for the very first row inserted into the table. Therefore, if at some point all table records are cleared, there might be the need to reset the seed value back to zero or some other value. It has to be mentioned that the next value that will be inserted on the table would be the value of ‘new-value’ + 1. So for example if the new-value is 0, the next row value will be 1. Google Chrome pwns Internet Explorer (IE) – see it in real action! Yesterday, I have been browsing my Google Reader feeds, and I stumbled upon a post from the Chromium blog. The actual title was “Introducing Google Chrome Frame“. Since that was something I have never heard before about, I just had to read it. Well, it turned out that “Google Chrome Frame” is a plugin for Internet Explorer (IE) browsers. 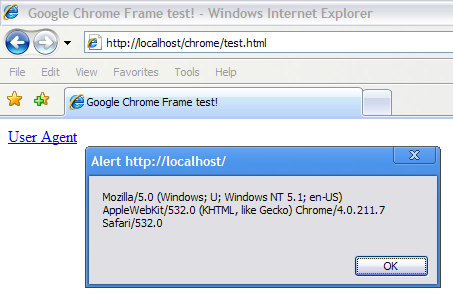 You can directly install the Google Chrome Frame plugin on Internet Explorer 6, 7, or 8. The plugin is installed on an IE7, XP SP3 machine. It is the default IE7 rendering engine. 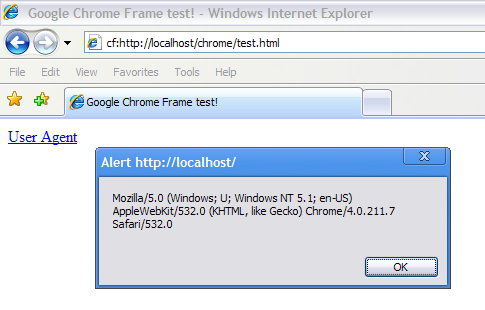 The “cf:” triggers the Google Chrome Frame to be enabled for any site on the Web. Yeap, this is it, Google Chrome engine powering the poor old IE. Another way to automatically trigger the Google Chrome Frame is the presence of a special “meta” tag. Of course this is something that the Web developer has to add on a page. Chrome, or Google, did it again! Movie Maker requires Windows Vista or Windows 7; it is not supported on Windows XP. The 32- and 64-bit versions of Windows 7 RC are available in five languages: English, German, Japanese, French, and Spanish. The RC will expire on June 1, 2010. Starting on March 1, 2010, your PC will begin shutting down every two hours. Windows will notify you two weeks before the bi-hourly shutdowns start. To avoid interruption, you’ll need to install a non-expired version of Windows before March 1, 2010.